In May, 1974 the N1 rocket program is stopped. Mishine is fired by the direction of the study office of OKB-1. A new organization, Energia NPO, is created, directed by the former colleague of Korolev (Glushko), it groups together the 2 research departments of Glushko and Korolev. Although the Soviet citizens spent more than 2.4 billion roubles in the Lunar project they were still far from having a heavy functioning launcher. All the work on the N1 launcher was destroyed and Glushko and Yangel OKB began the development of the Vulkan launcher from scratch. This enormous launcher had to put into orbit elements elaborated for the lunar program LEK (Lunar Expedition Complex). This new launcher was modified on February 17th, 1976 when Glushko had to take into account the new specifications for the Buran shuttle. These changes led to move the payload from the nose cone to the side of the launcher, and to modify the structure of the boosters around of the central block, as well as other numerous modifications. The Energia launcher was born. 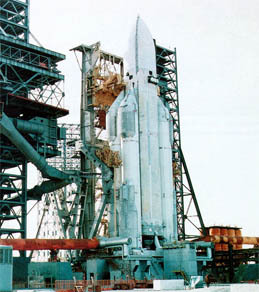 The Energia launcher was not only intended for lifting the Buran space shuttle but to carry different kind of payloads. That's why the main engines are not located on the shuttle. For its first maiden flight it carried the space combat station Polyus on its side. The configuration for the payload for on its side, so it could carry up to 100 tons in LEO, and 32 tons for the Moon and Mars. On the Soviet side, the advent of the Energiya-Buran is directly related to the demise of the Moon rocket in the early 1970s. From 1969 1972, four consecutive launch attempts of the N1 The Soviet government then cancelled this program in of the modular heavy lift vehicle called Energiya. government assigned this new project to the Energiya Production Organization (NPO Energiya).43 Interestingly enough, one significant who worked on both the N1 and the was Boris Gubanov, who worked on the former its infancy and then served as Chief Designer the Energiya rocket twenty years later. 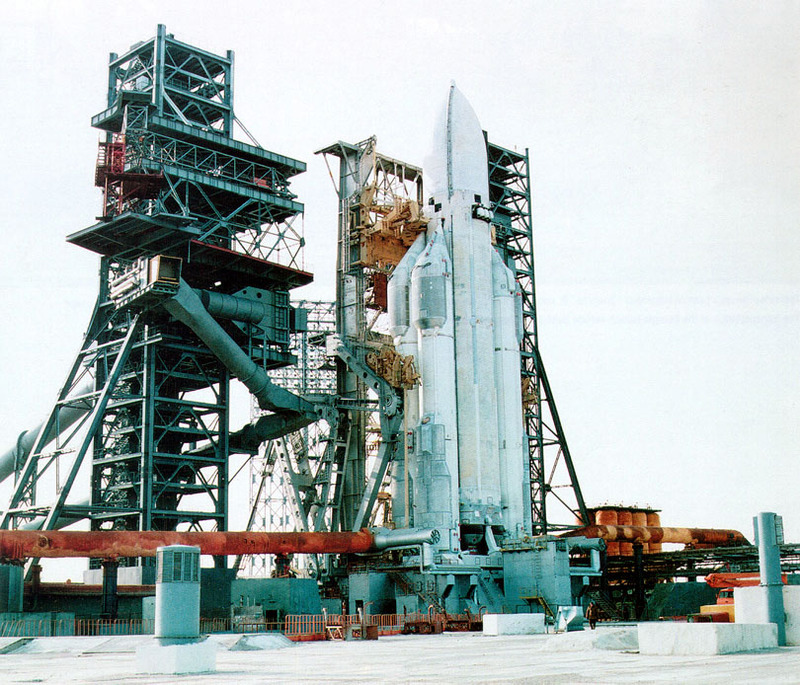 In May 1974, a large shake-up of the Soviet program took place which led to the Buran of the project. Vasiliy Mishin, who was the designer at the influential TsKBEM design bureau, was fired while he was in the hospital. TsKBEM with Valentin Glushko's KB EnergoMash bureau to form powerful new Energiya Scientific Production Organization (NPO Energiya). then took over this huge new organization, supervising all Soviet human spacecraft, launch vehicles, and reconnaissance Famed Soviet rocketry pioneer Sergei Korolev had founded seed of NPO Energiya, but now Glushko had more power. As one of his first official the vindictive Glushko signed an order suspending all on the N1 and associated lunar projects. In single stroke, Glushko had cancelled Mishin's grand plans space exploration.